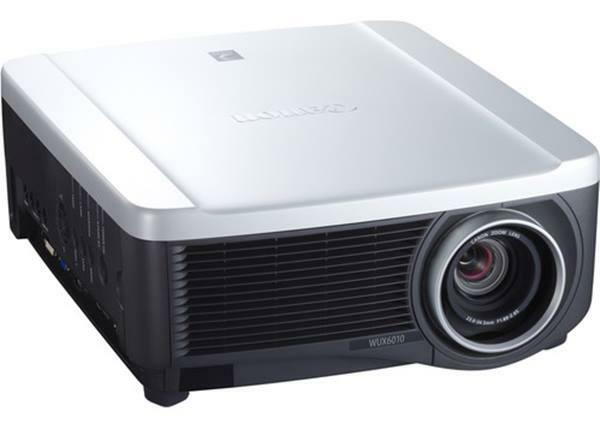 The newly released Canon REALiS SX80 is the latest in the company's long established line of SXGA+ (1400x1050) projectors. These models have always been popular due to a unique combination of factors. Not only are they double the resolution of the standard XGA format, but they deliver high light output, exceptional color accuracy, and a complete lack of visible pixel structure due to the use of LCOS technology. 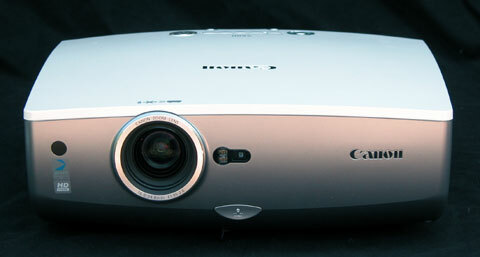 For those who want high quality display of complex imagery, from text and financial documents to detailed graphics, the Canon SXGA LCOS projectors have been the go-to models for many enthusiastic users. And for photographers, the SX series of projectors have been naturals for displaying photographs in large scale. The new SX80 is the least expensive in Canon's SXGA+ line. It comes in elegant pearl white casework that is a definite improvement in looks over previous models. Light Engine: 1400x1050, native 4:3, three-panel LCOS with 230W NSH lamp. Video Compatibility: 1080p/60, 1080i, 1035i, 720p, 576p, 576i, 480p, 480i. Connection Panel: One HDMI 1.3 port, one DVI-I, one 15-pin VGA, one VGA monitor output, one 3-RCA component input, one s-video, one composite, one 9-pin DSub serial port. Lens and Throw Distance: 1.5x powered zoom/focus lens with no vertical or horizontal lens shift. Throws a 120" diagonal 4:3 image from 12 to 17.5 feet. Replacement lamp price: $579 retail.